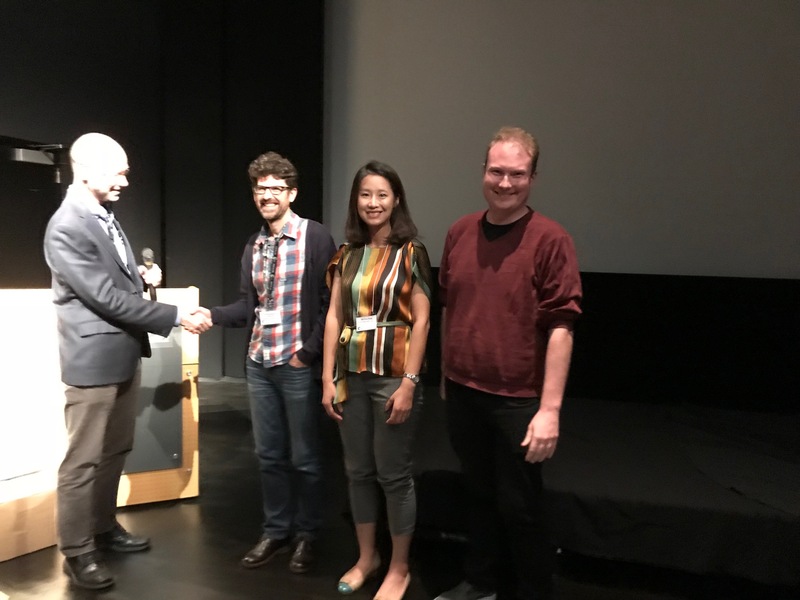 Congratulations to the winners of the Nanoscale Horizons poster awards at the Nanoscale Horizons Symposium which was held at the University of California, San Diego on 5th October 2018. Well done to Geoffrey Hollett (University of California, San Diego – Professor Michael Sailor’s group), Yue Zhang (University of California, San Diego – Professor Liangfang Zhang’s group), and Roberto Brea Fernandez (University of California, San Diego – Neal Devaraj’s group). Geoffrey Hollett, Yue Zhang, and Roberto Brea Fernandez receive their poster prize awards from Professor Michael Sailor. The one-day symposium showcased a variety of cutting-edge work in and around the areas of nanoscience and nanotechnology, presented by members of the Nanoscale Horizons Editorial Board and local researchers. Thank you to everyone who attended.